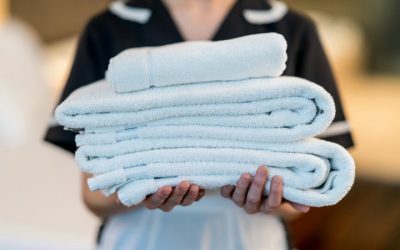 Congress created important protections for immigrant survivors of domestic violence, sexual assault, and human trafficking in the Violence Against Women Act (VAWA) and Trafficking Victims Prevention Act (TVPA) in the express recognition that abusers often exploit a victim’s lack of immigration status as a tactic of abuse. 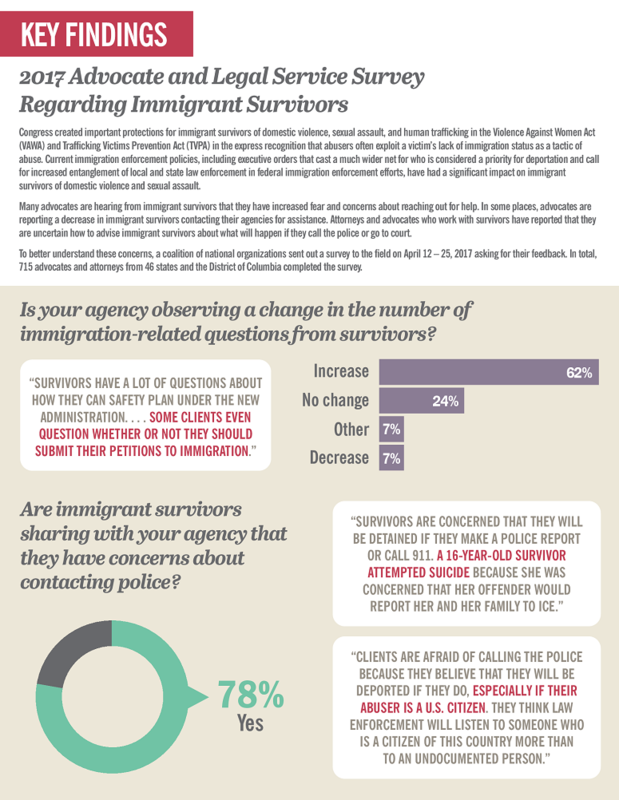 Current immigration enforcement policies, including executive orders that cast a much wider net for who is considered a priority for deportation and call for increased entanglement of local and state law enforcement in federal immigration enforcement efforts, have had a significant impact on immigrant survivors of domestic violence and sexual assault. Many advocates are hearing from immigrant survivors that they have increased fear and concerns about reaching out for help. In some places, advocates are reporting a decrease in immigrant survivors contacting their agencies for assistance. Attorneys and advocates who work with survivors have reported that they are uncertain how to advise immigrant survivors about what will happen if they call the police or go to court. To better understand these concerns, a coalition of national organizations sent out a survey to the field on April 12 – 25, 2017 asking for their feedback. In total, 715 advocates and attorneys from 46 states and the District of Columbia completed the survey. This infographic shows the findings from this survey.